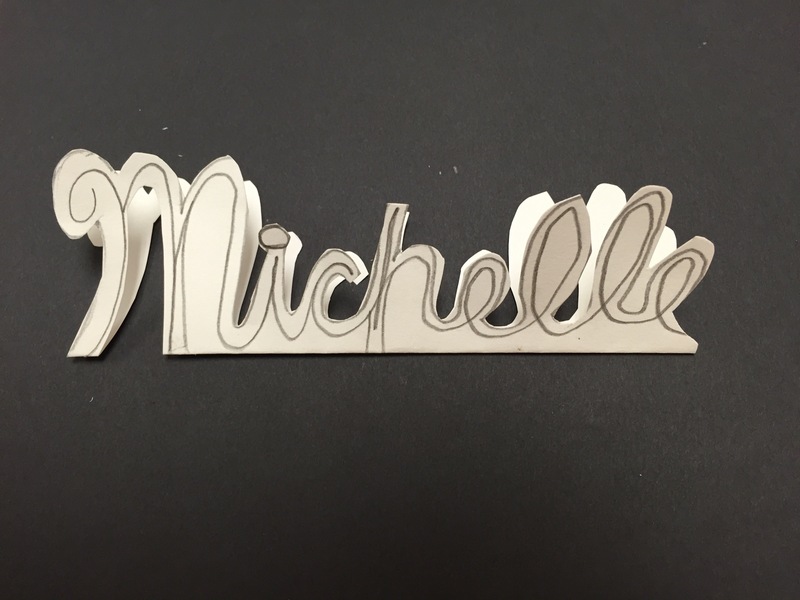 Lots of fun projects happening the last couple of weeks! 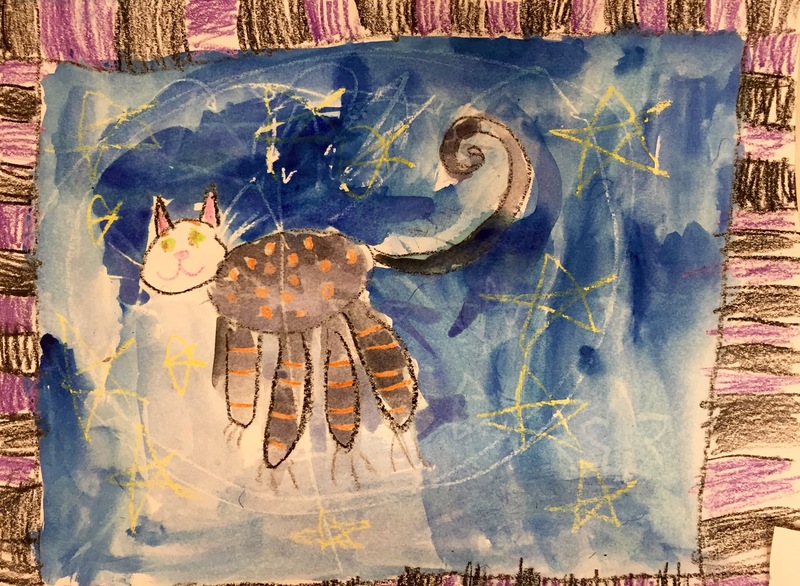 Deep Space Sparkle always has amazing ideas. 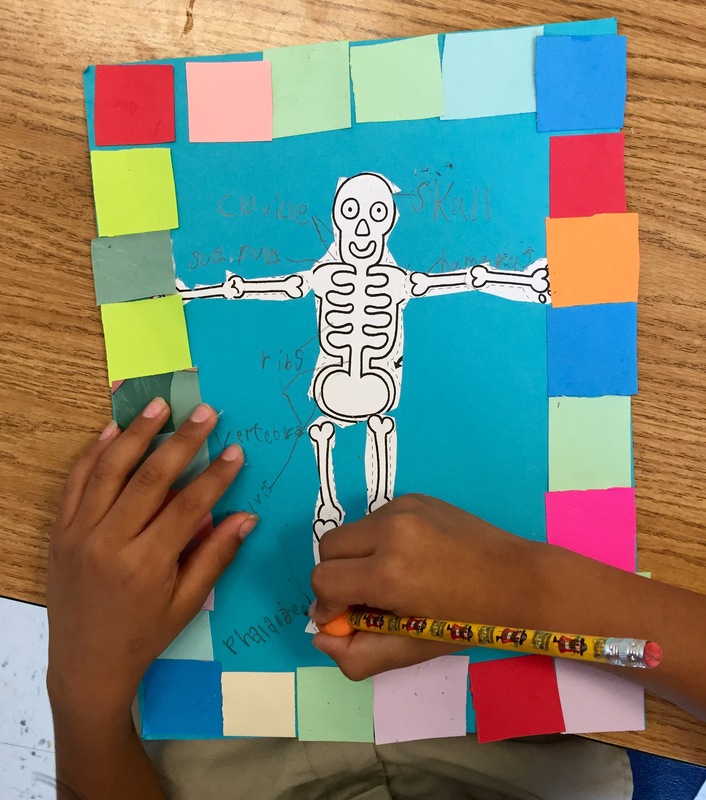 I adapted her 5th grade lesson for my first graders and they absolutely loved it! 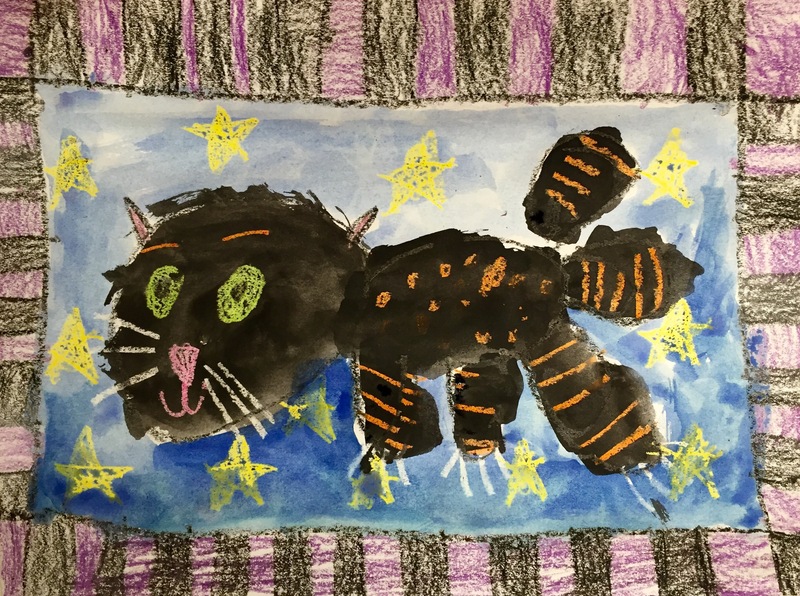 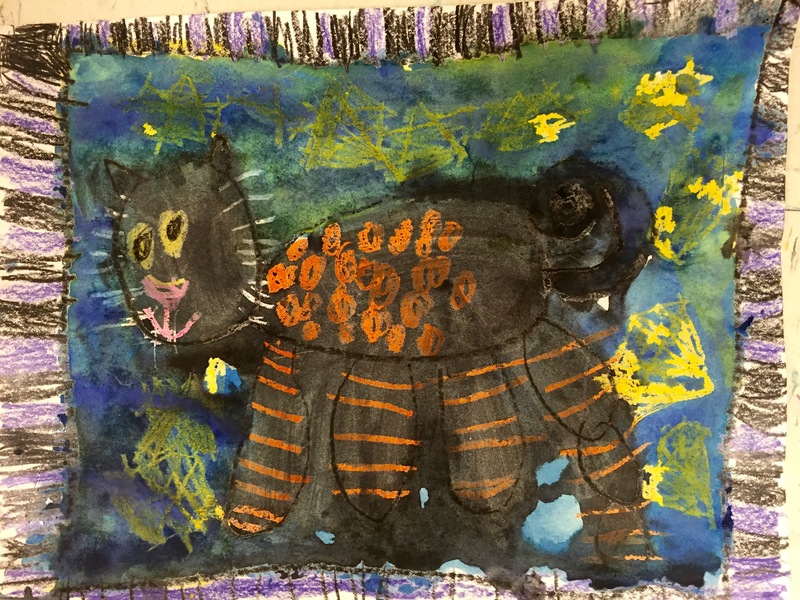 Kinders worked hard on their folk art kitties! 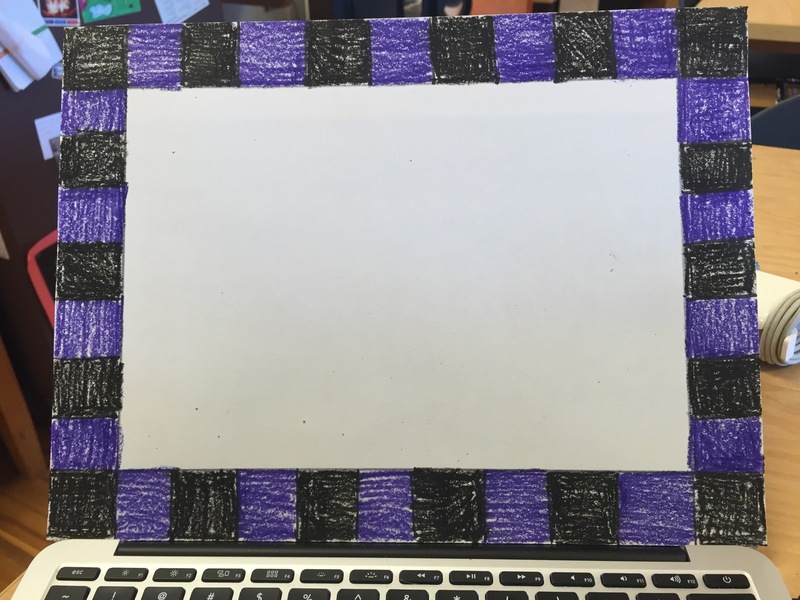 Thanks to Art Projects for Kids for this great idea! 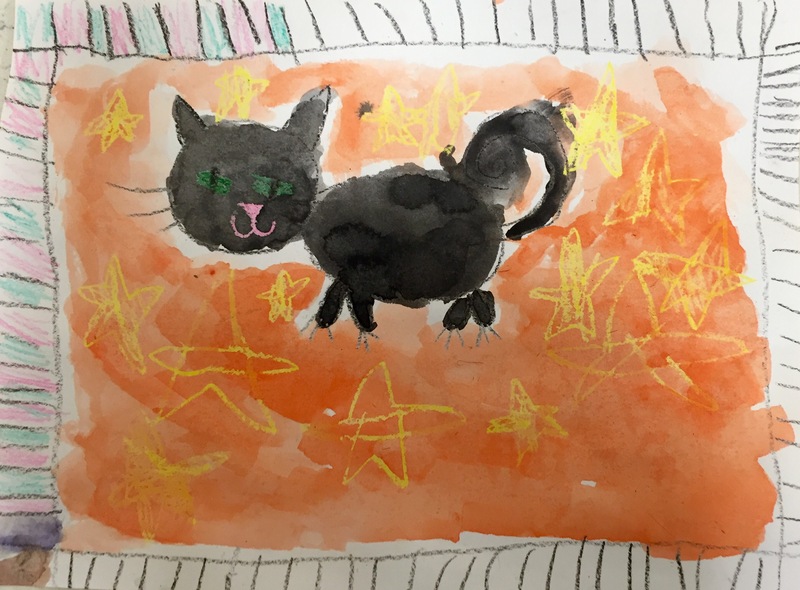 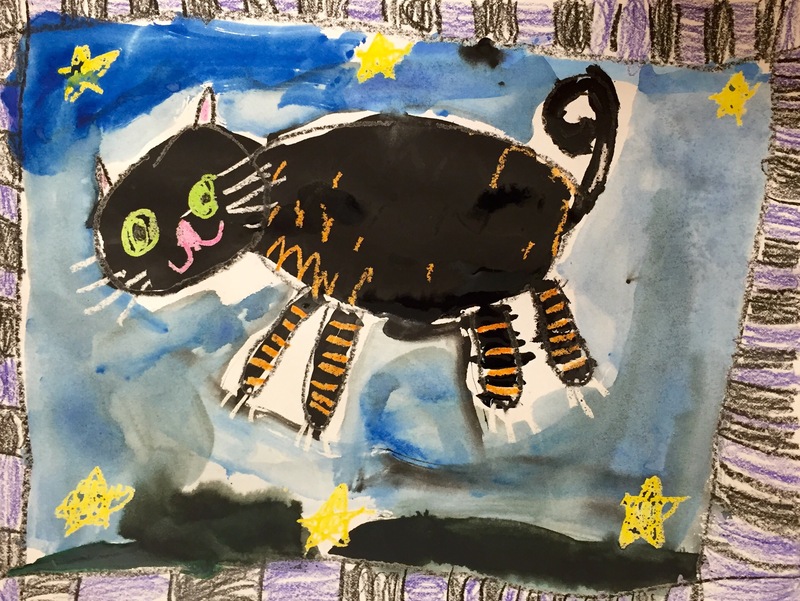 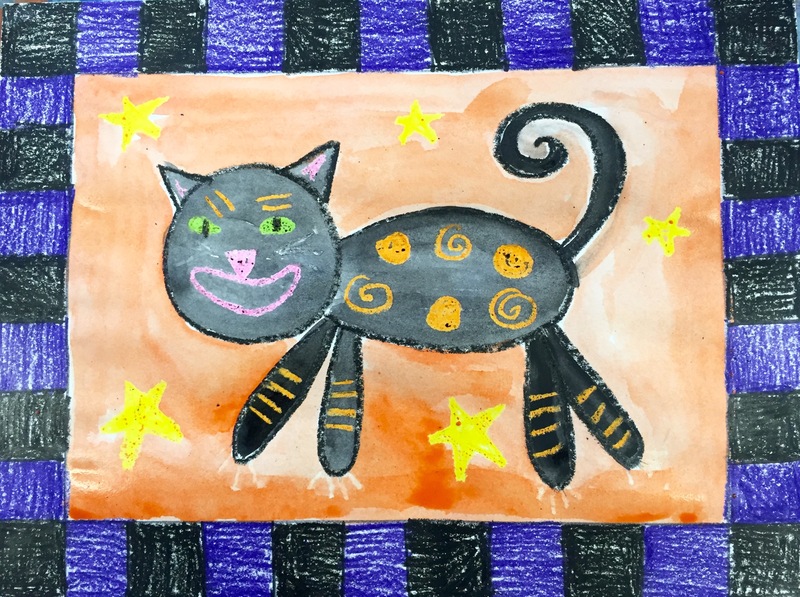 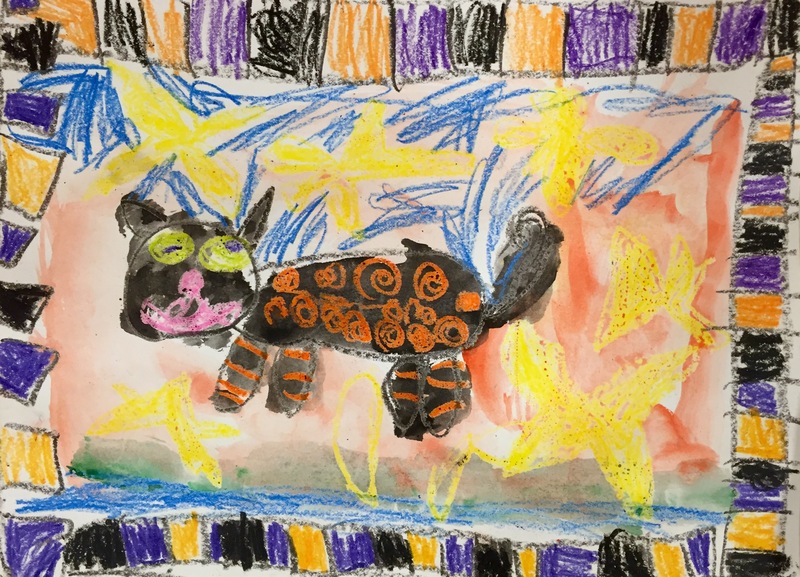 I’m looking forward to starting these precious folk art style black cats with my kinders next week. 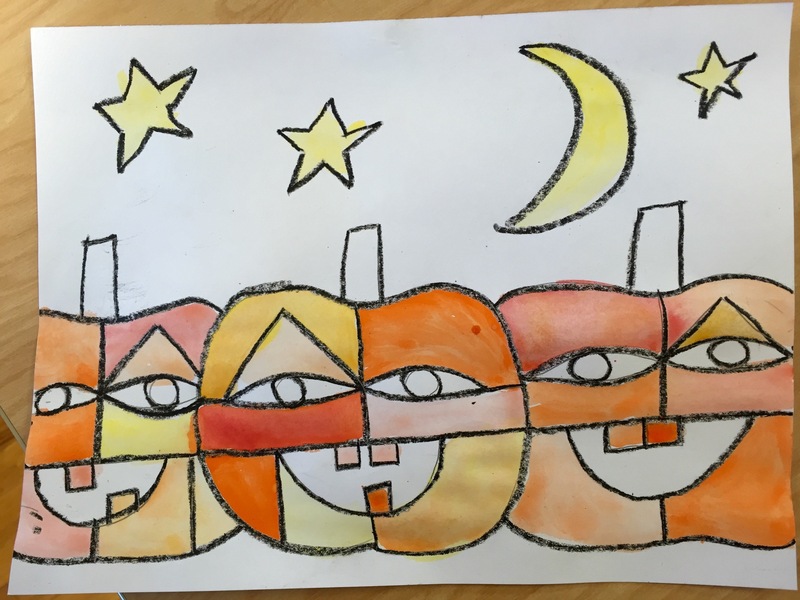 We are getting in lots of practice with painting, lines, shapes, and colors this first quarter. 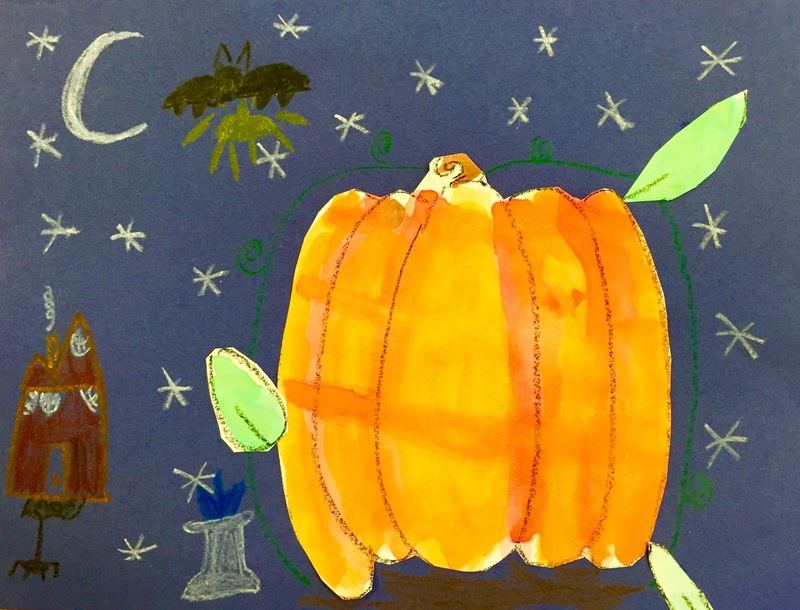 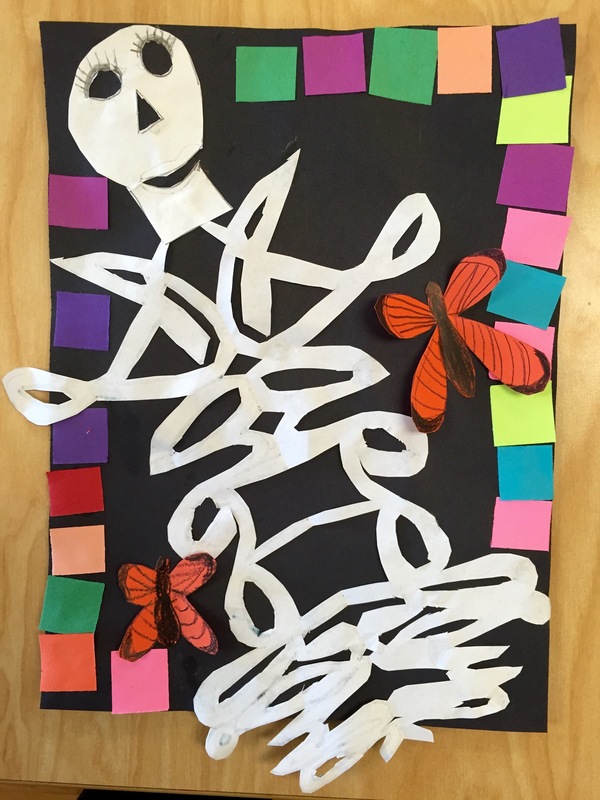 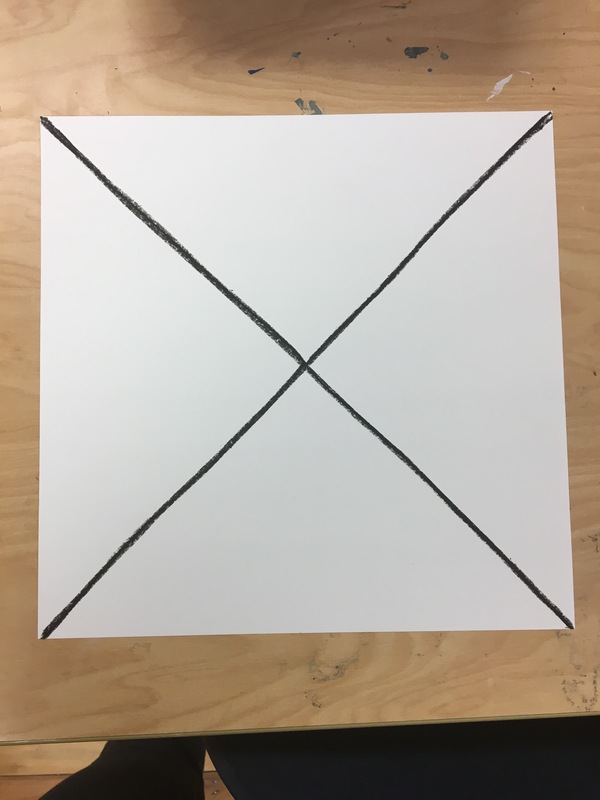 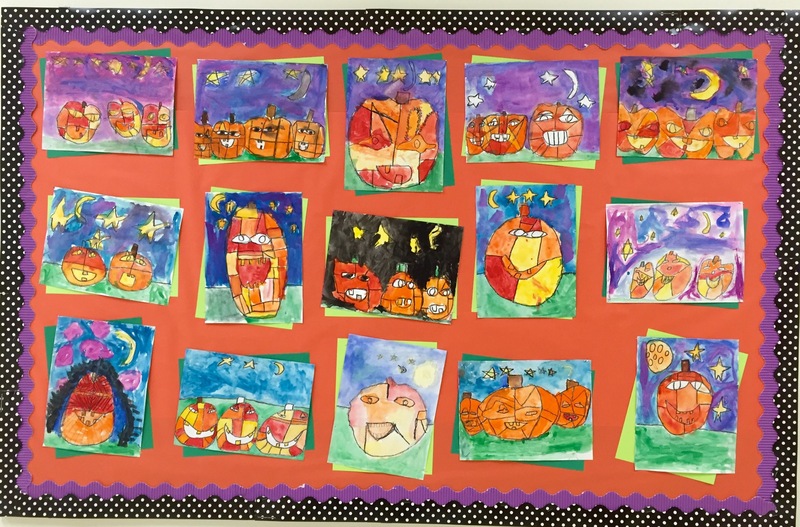 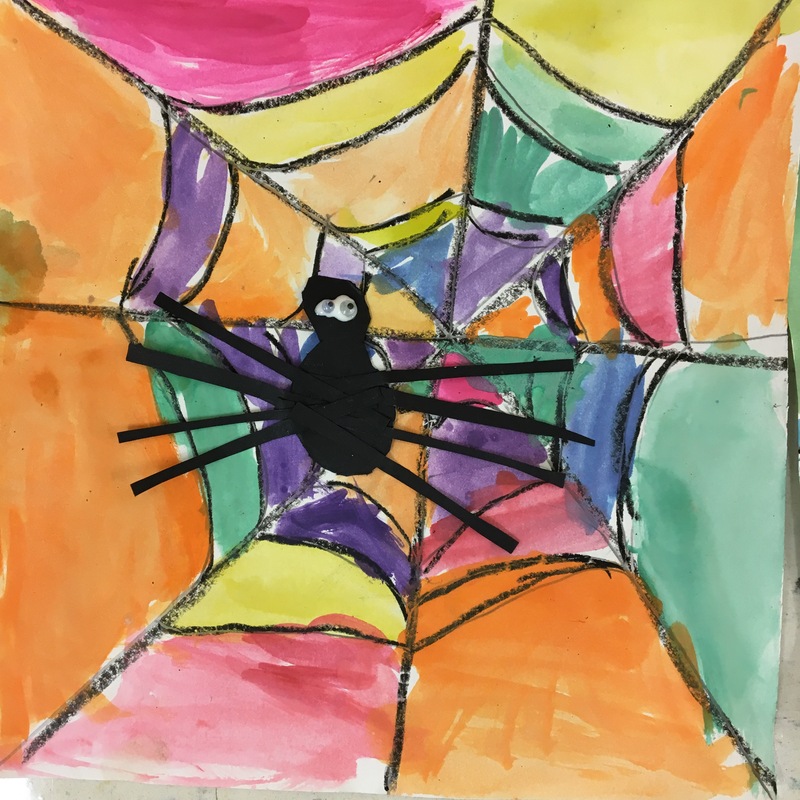 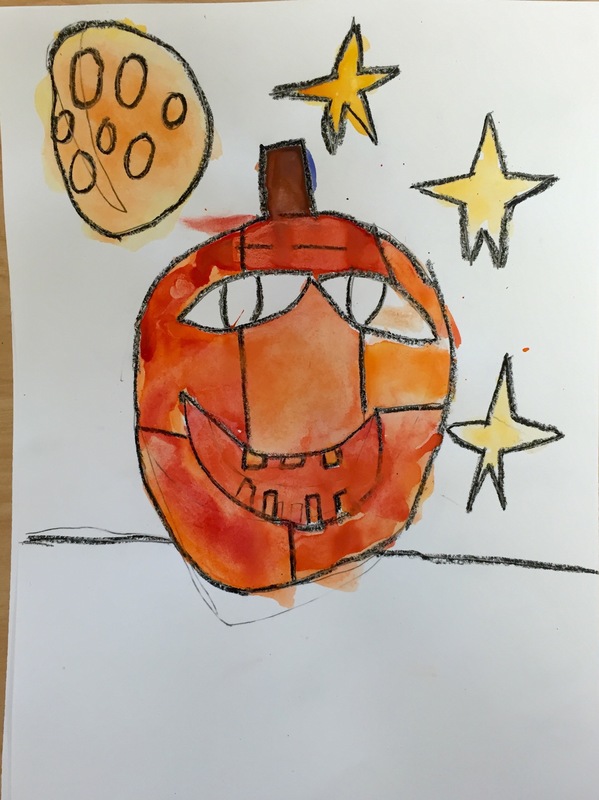 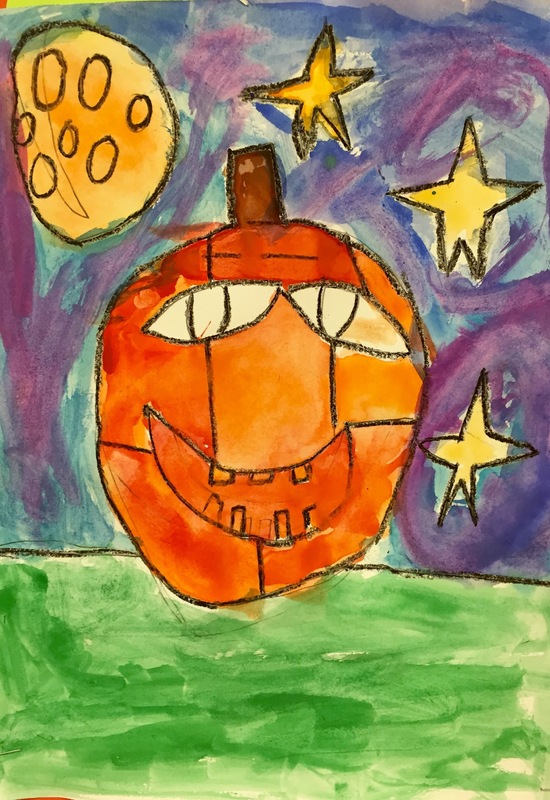 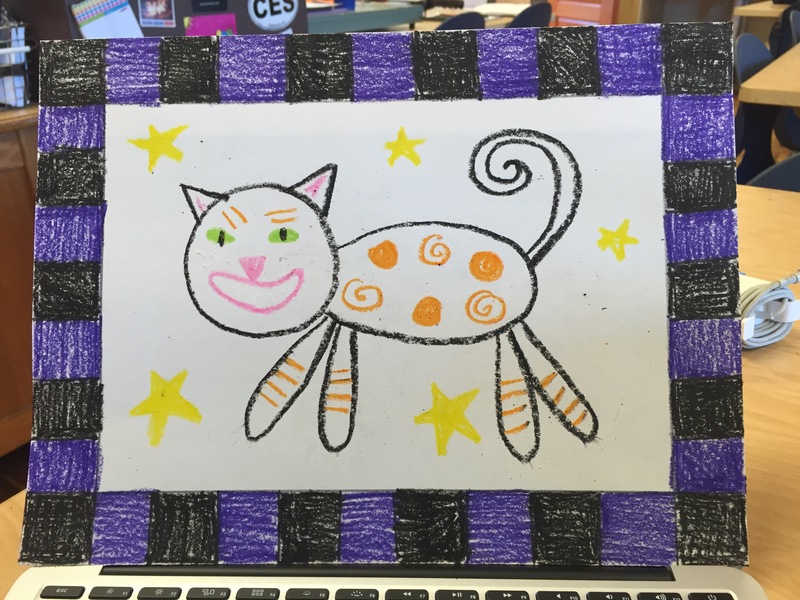 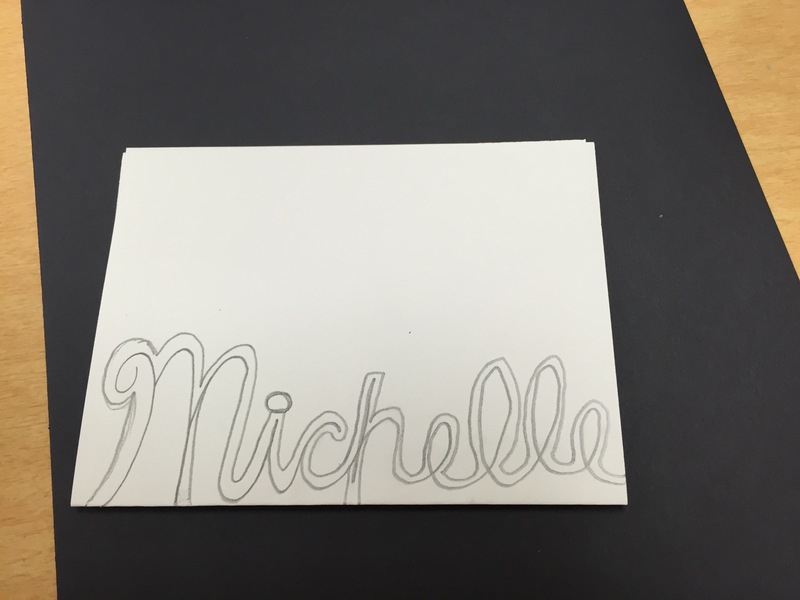 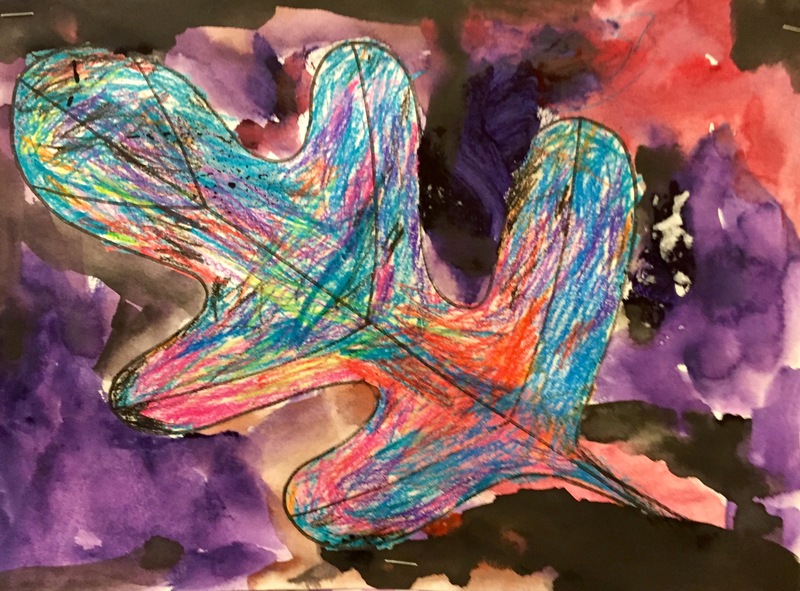 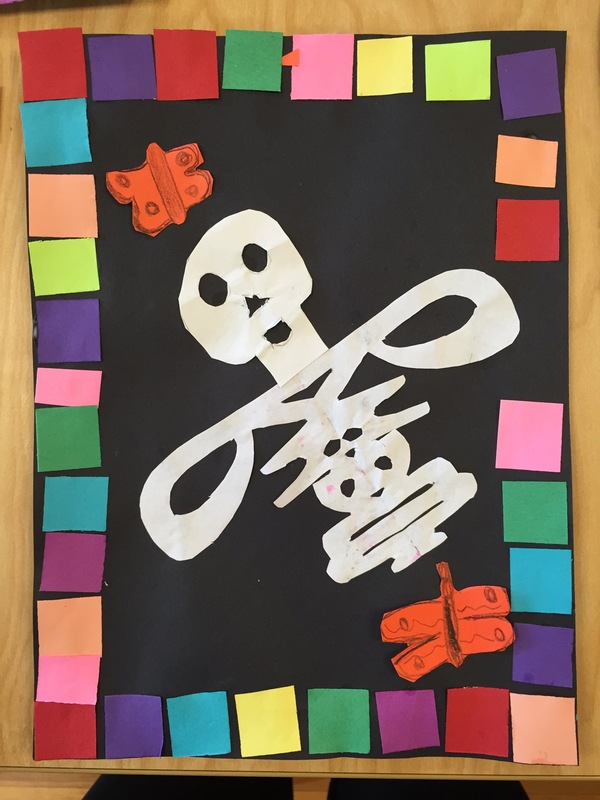 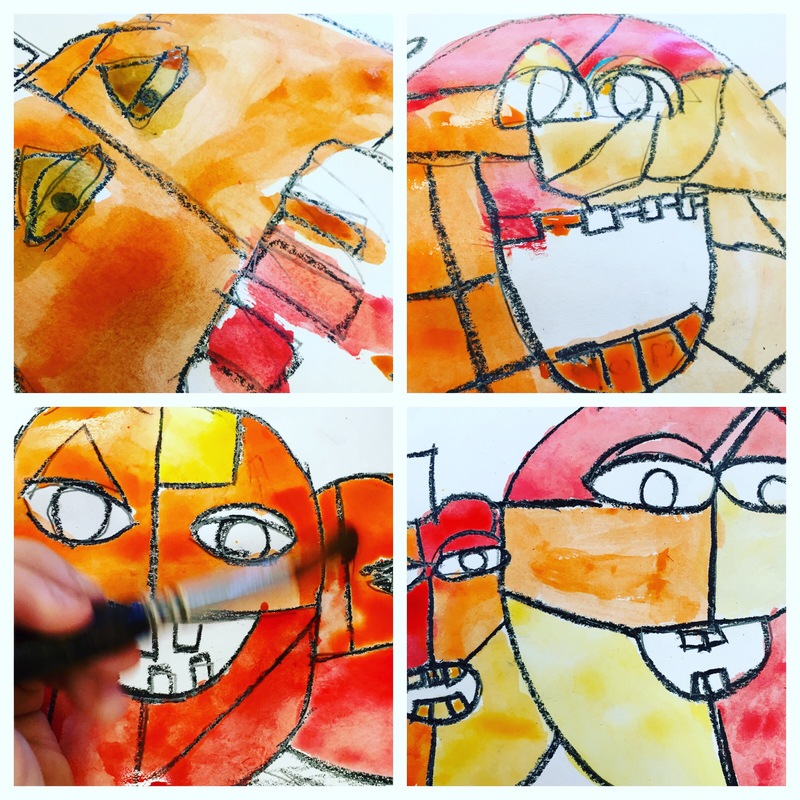 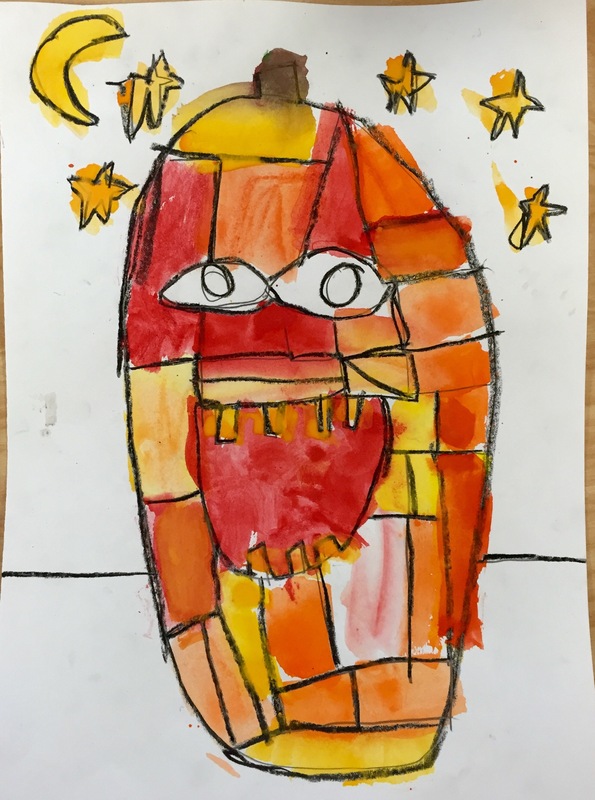 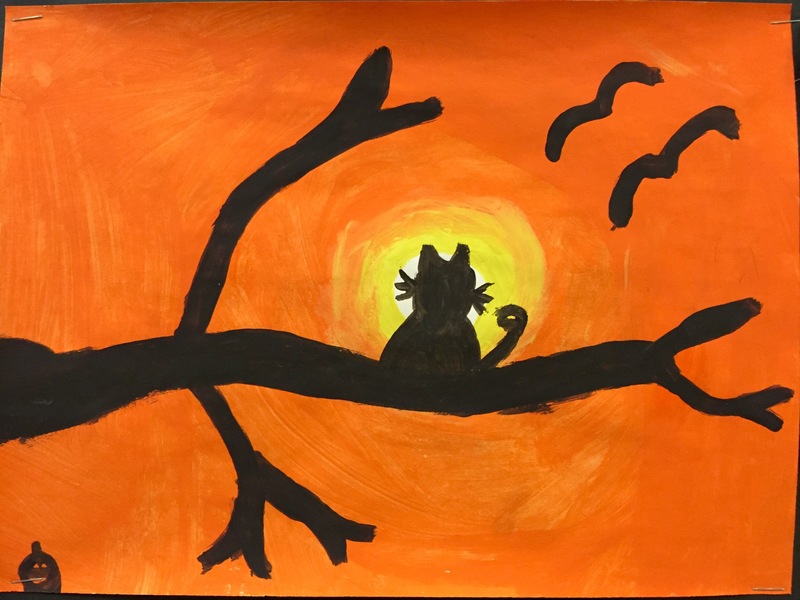 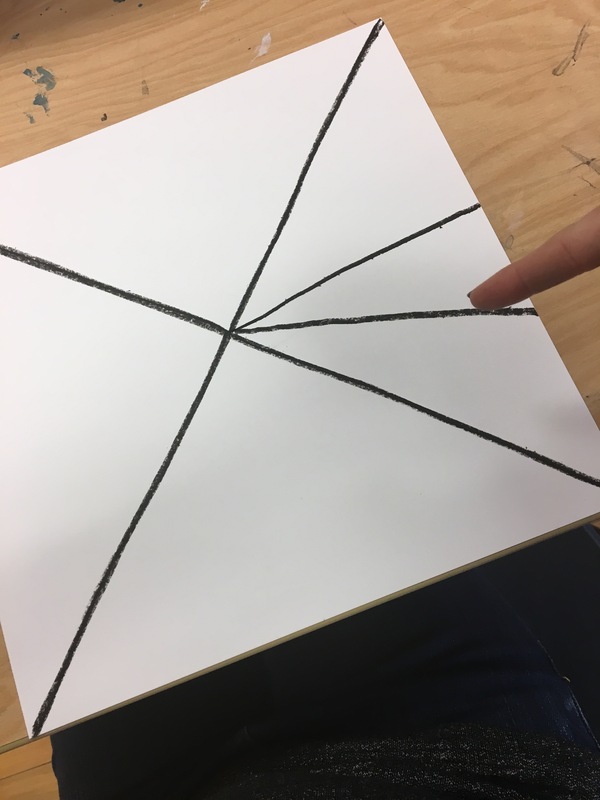 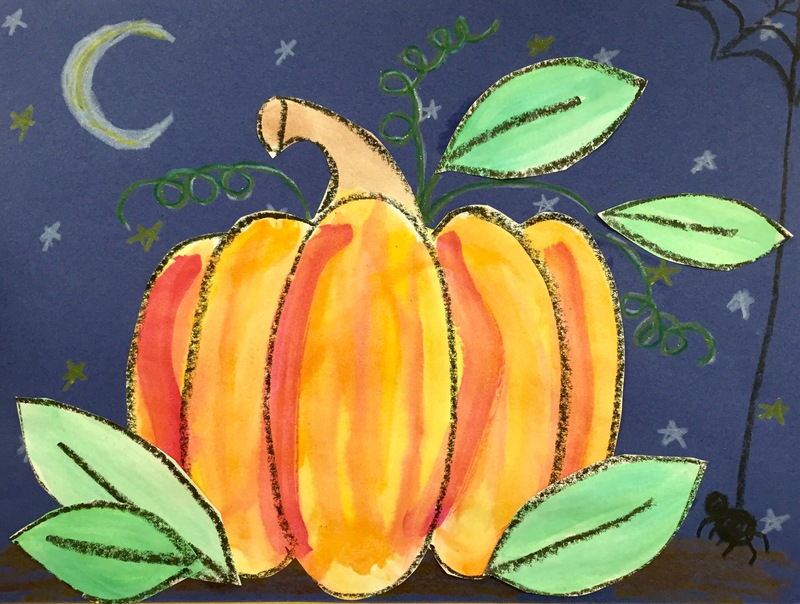 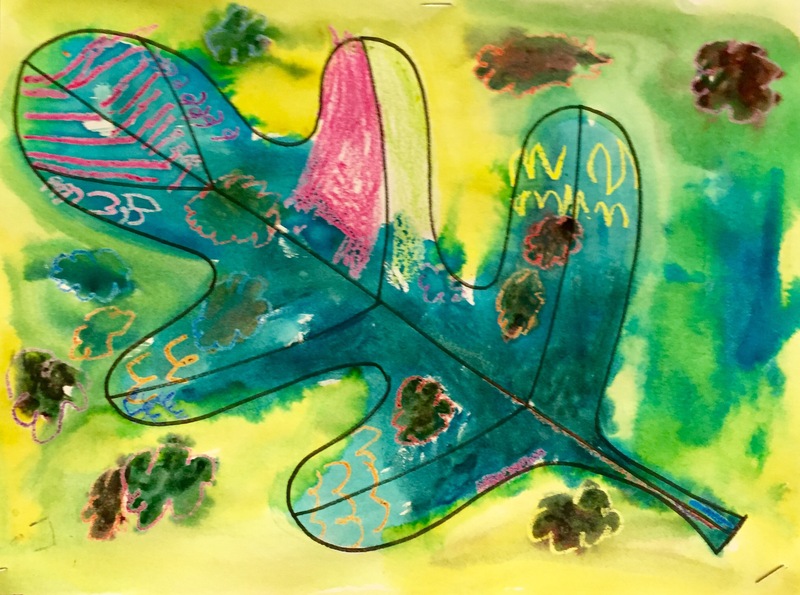 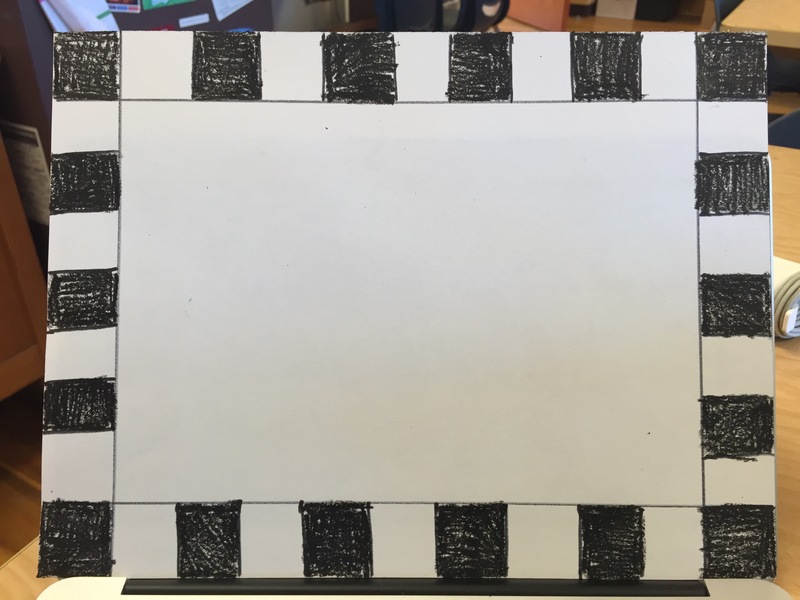 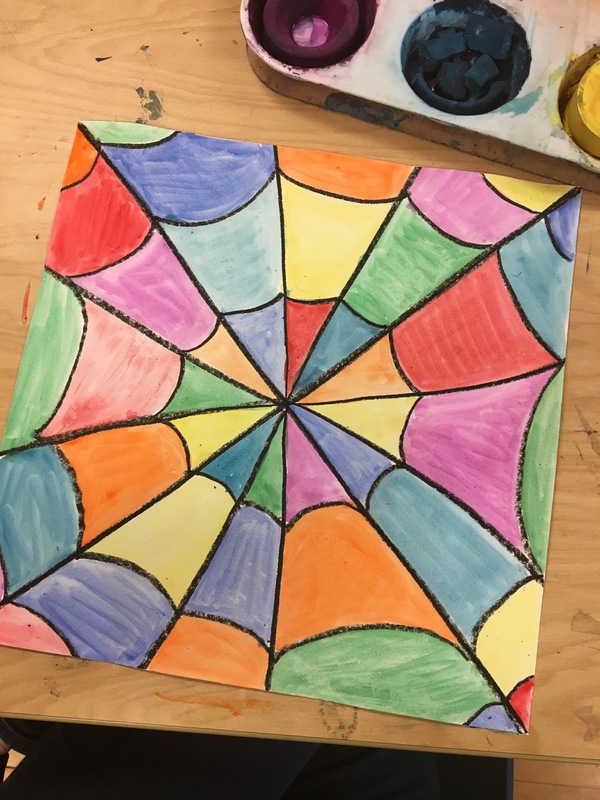 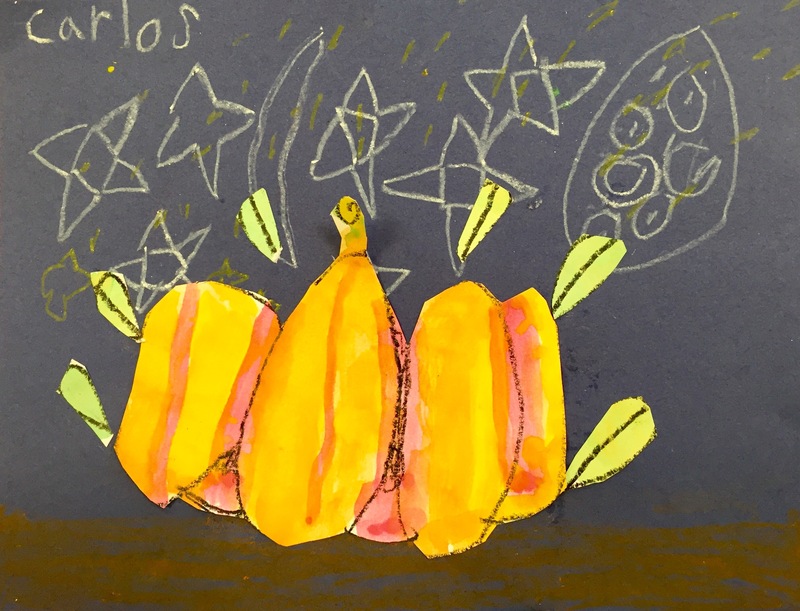 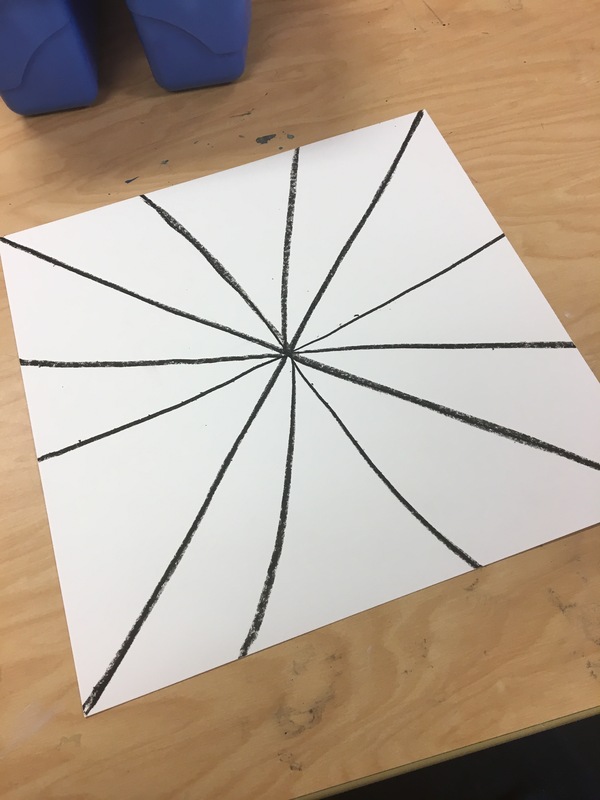 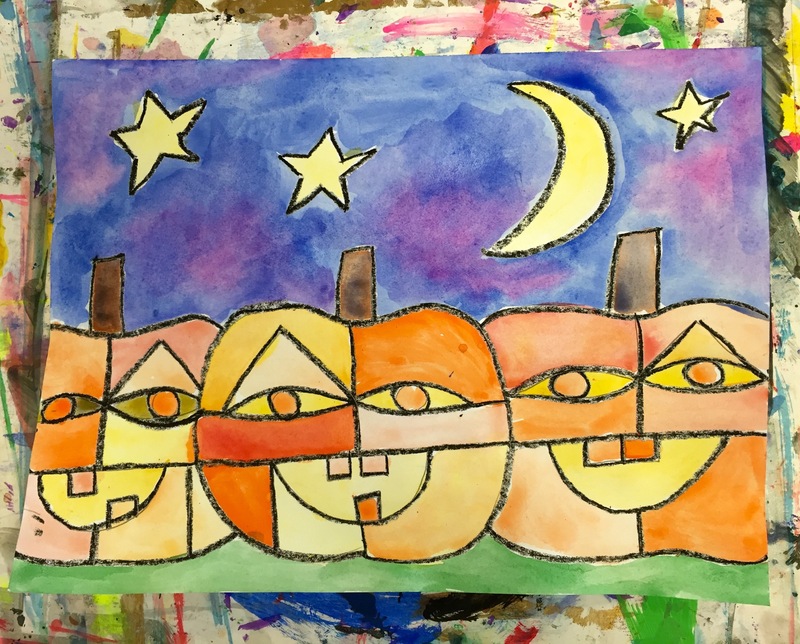 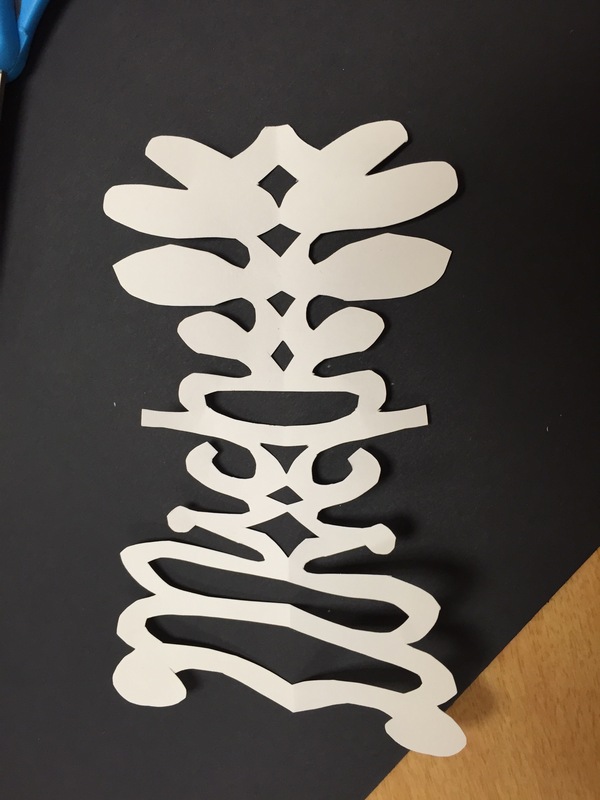 I found this lesson on Art Projects for Kids – check out her original post here. 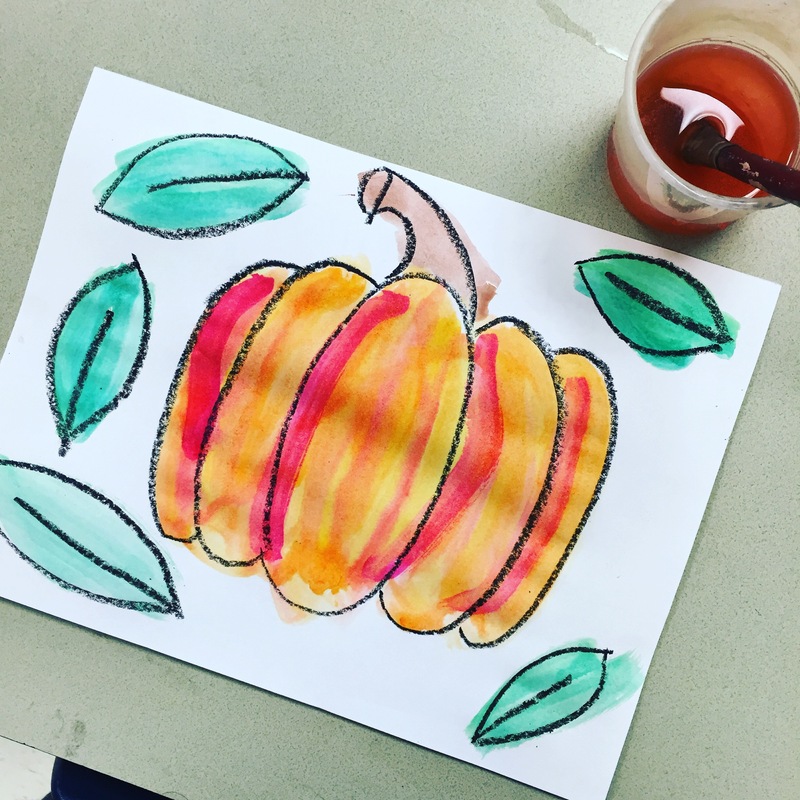 It goes well with the Halloween season but if you don’t do holiday art, you could always do another animal or do it at a different time of year. 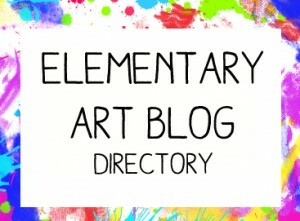 I’ve posted my step by step pictures and I’ll post their works of art (which are sure to be way cuter and filled with lots of personality) when we are finished. 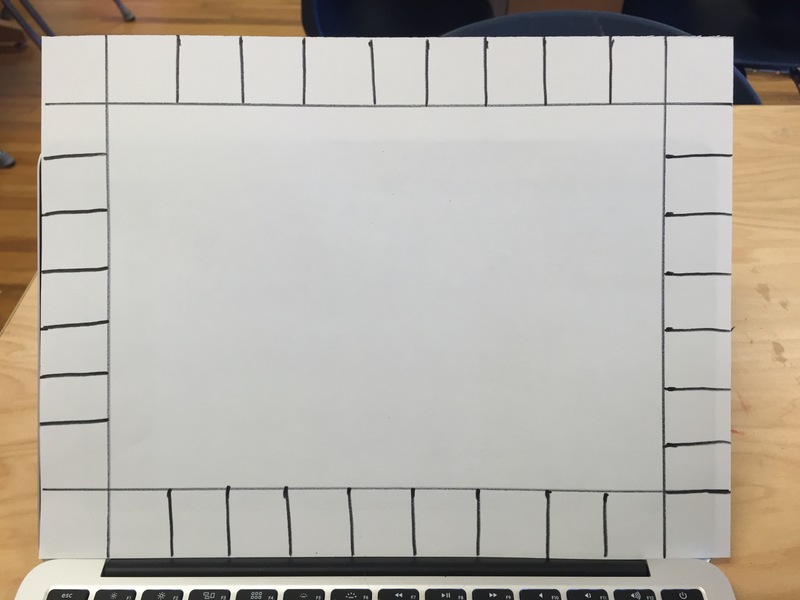 Most students had a difficult time with the border. 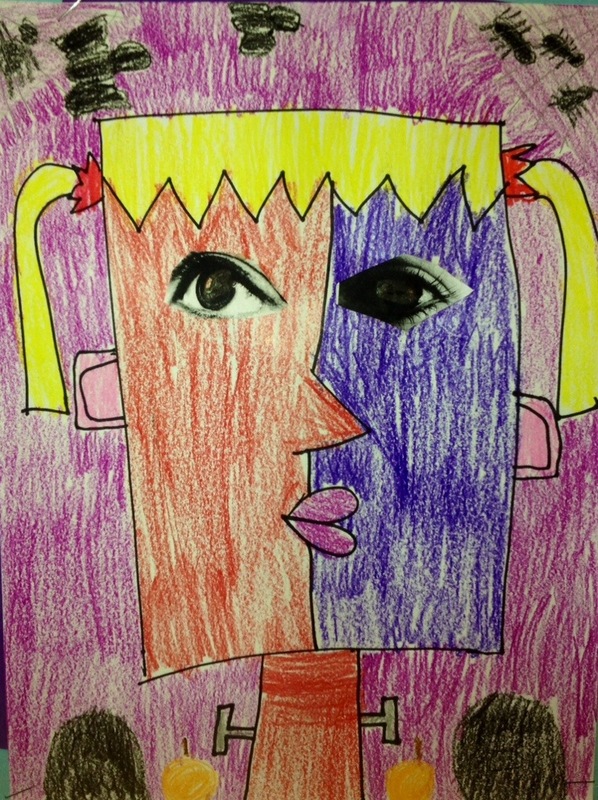 They grasped the idea of a pattern but put in a ton of lines to create their blocks so it took them forever to color. 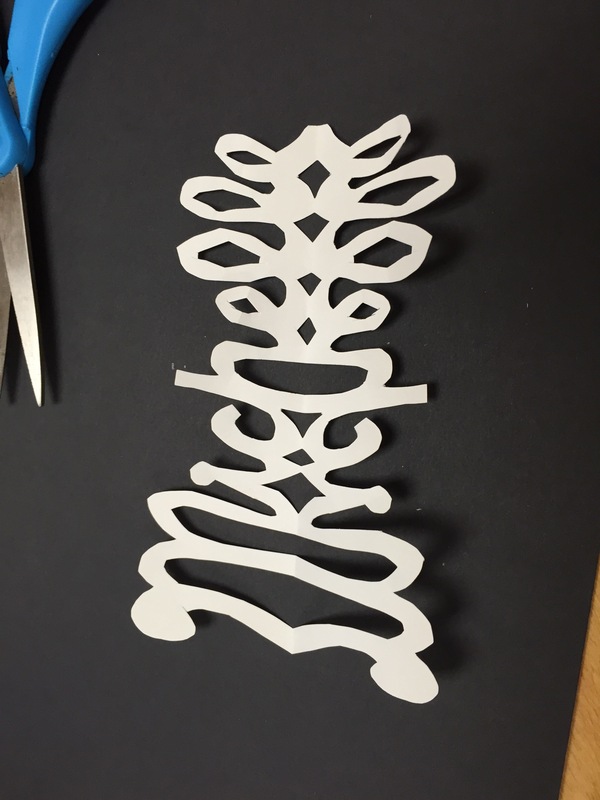 I did learn to tell them to use their thumb as a spacer when creating them. 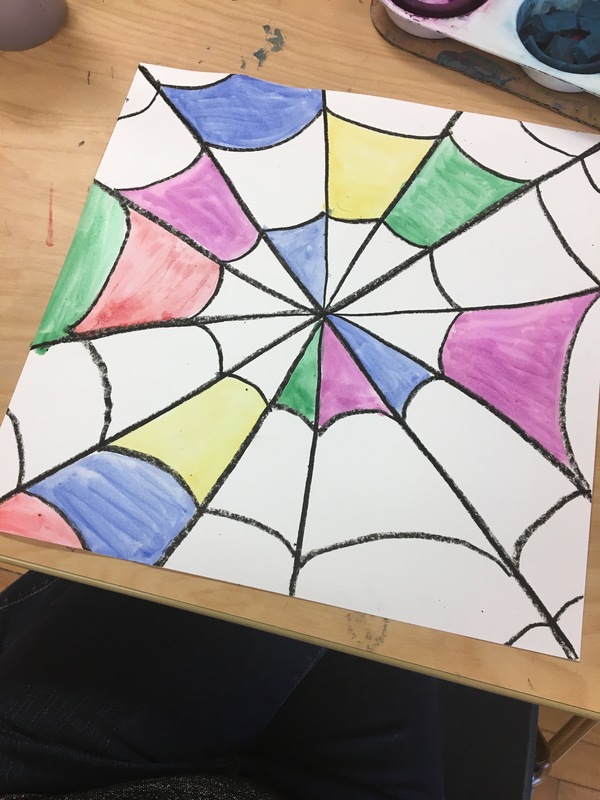 That helped a little. 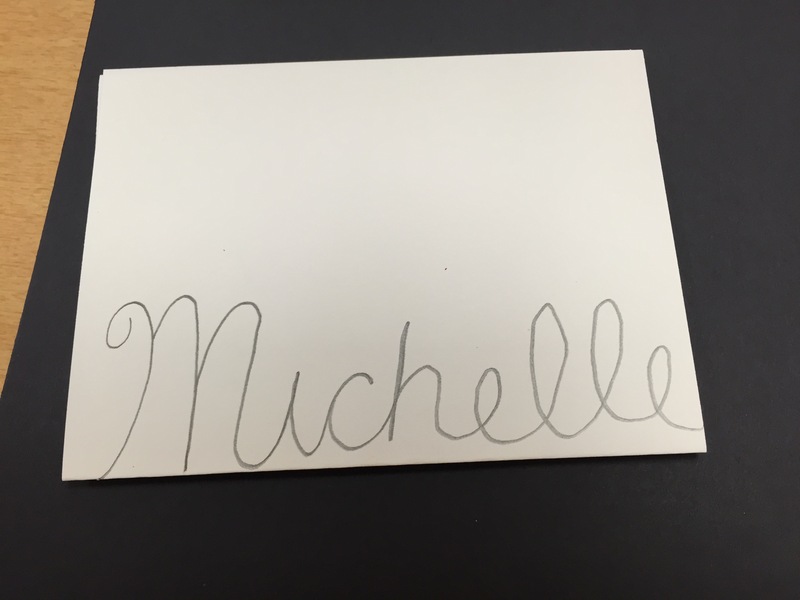 My third graders are learning to write cursive and I thought this project would be absolutely perfect to go along with their new writing skills. 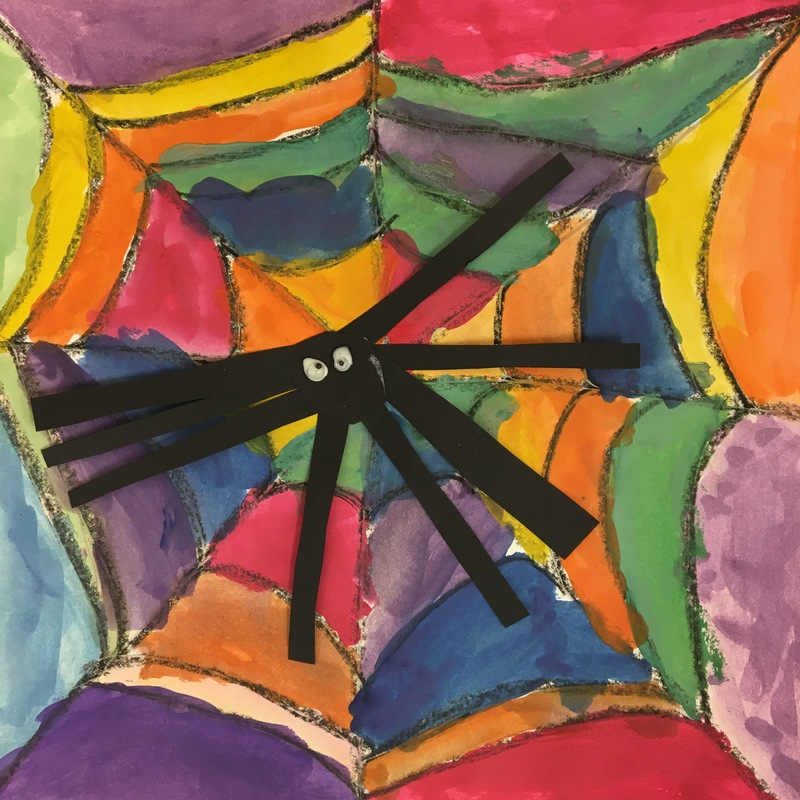 I found this project on The Kessler School’s Artsonia page. 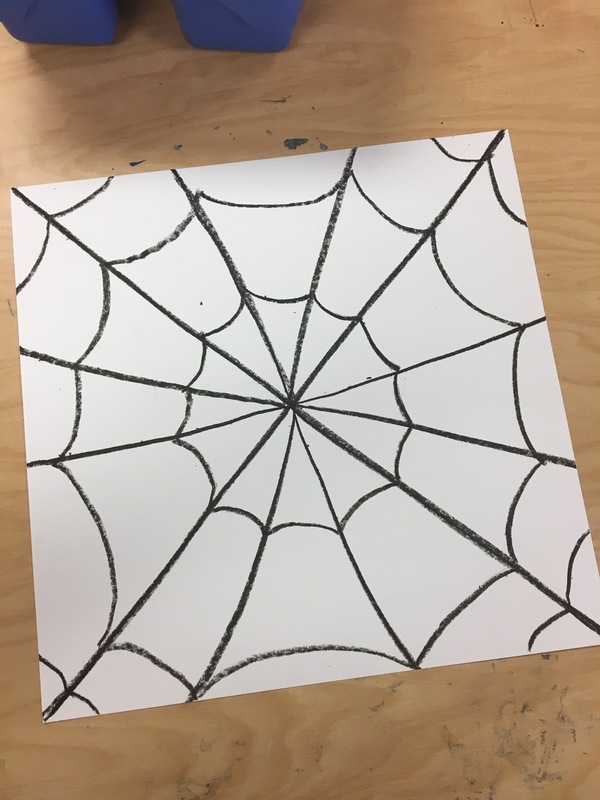 This is my example, step by step and I’ll be sharing my students’ as they finish! 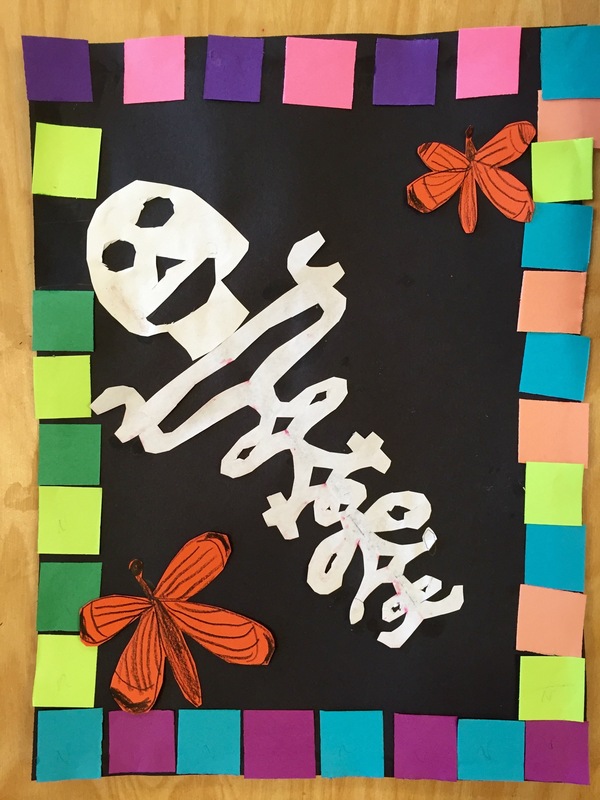 We are finishing up our Cursive Calaveras and they look phenomenal! 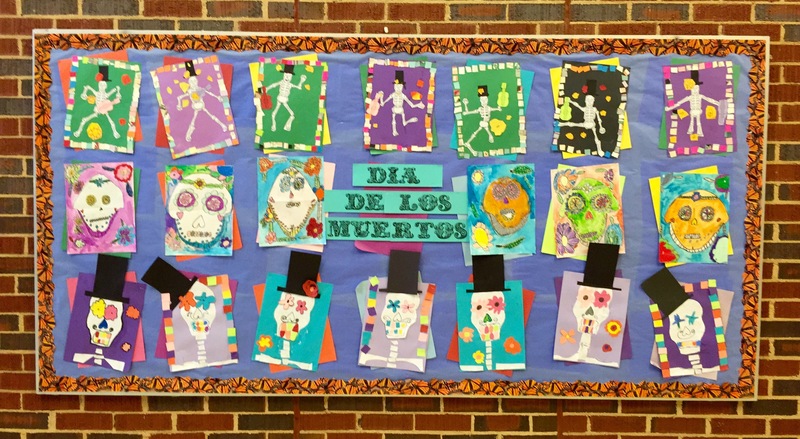 We decided to add the colorful border and the monarch butterflies in honor of Dia de Los Muertos. 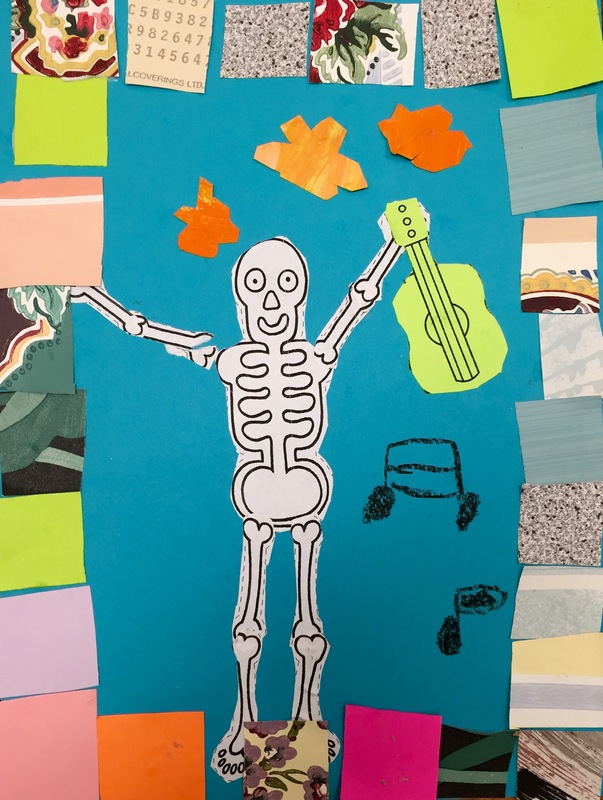 Let’s be FRANK: Picasso Rocks! 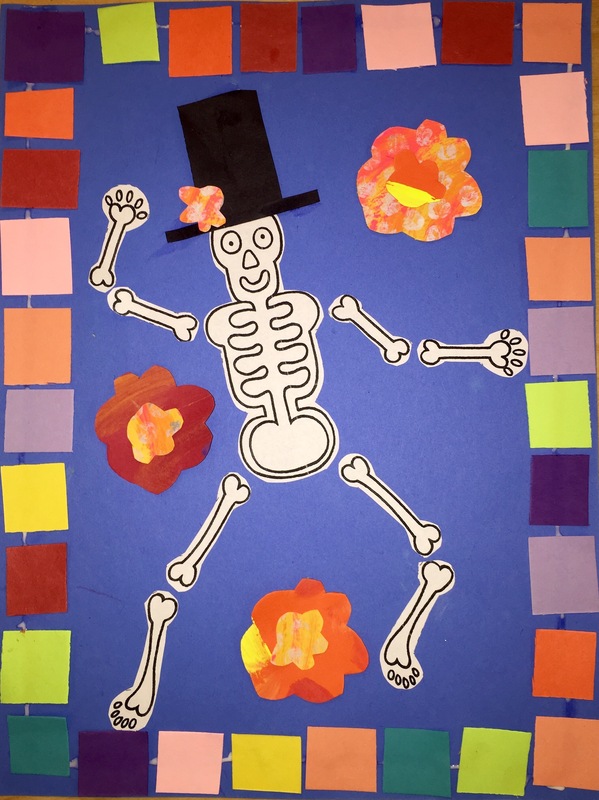 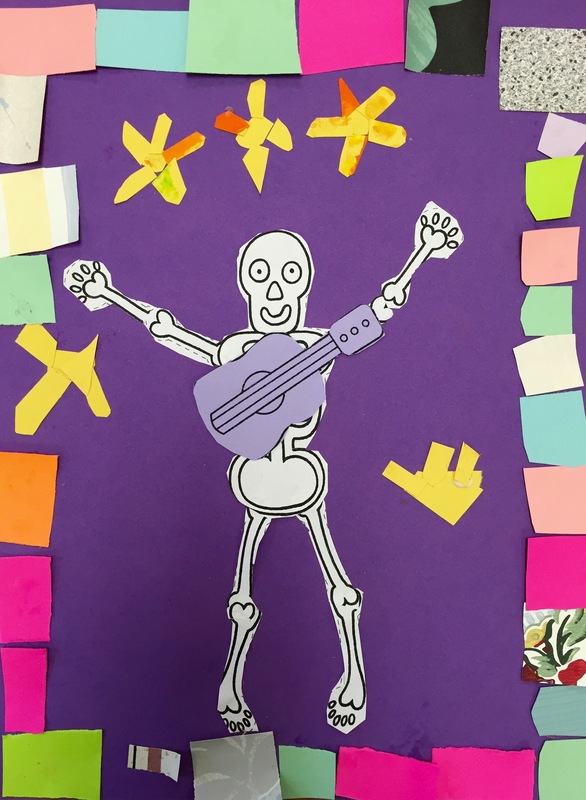 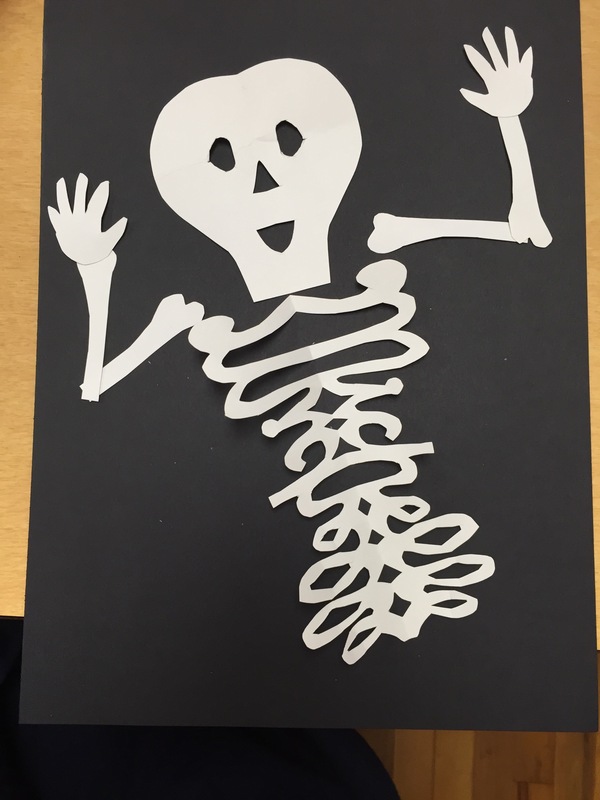 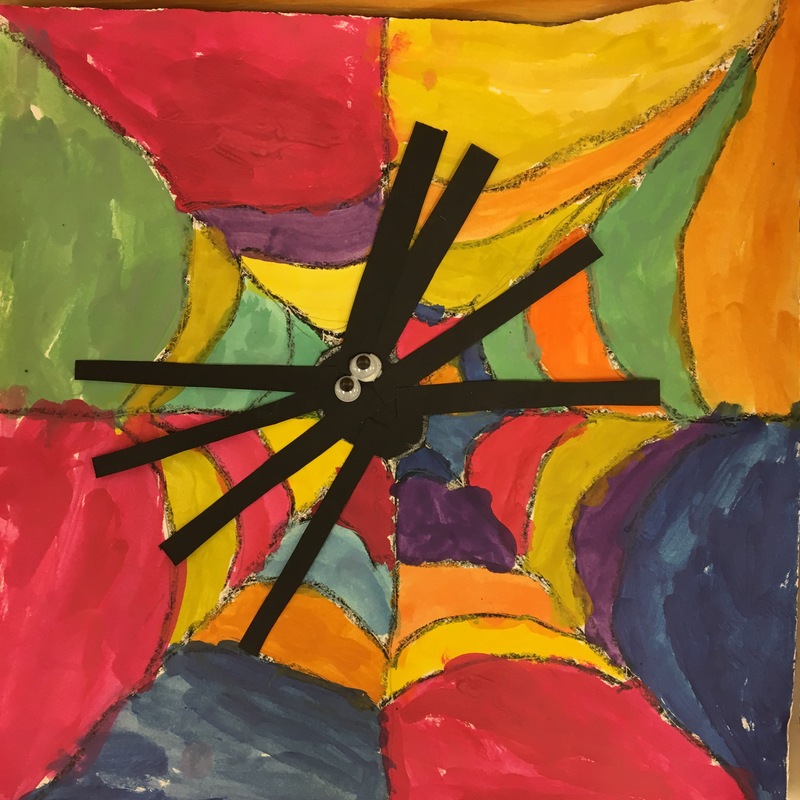 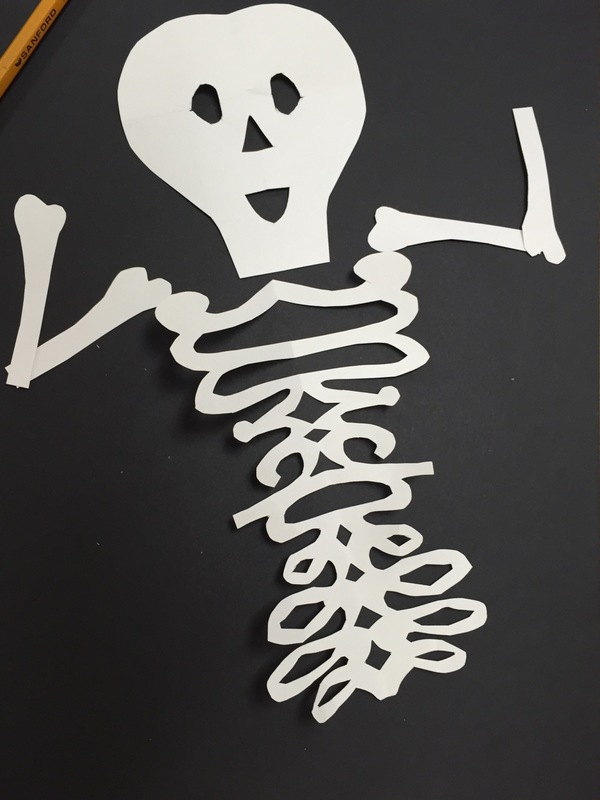 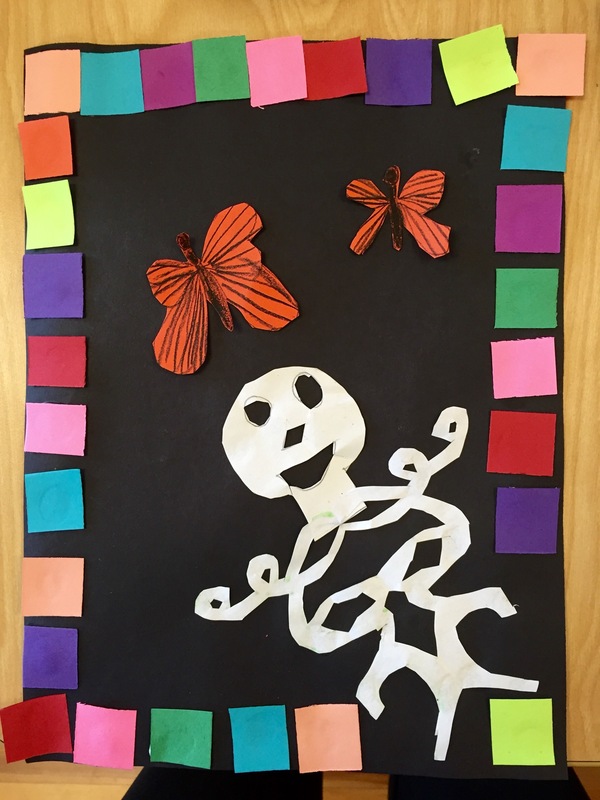 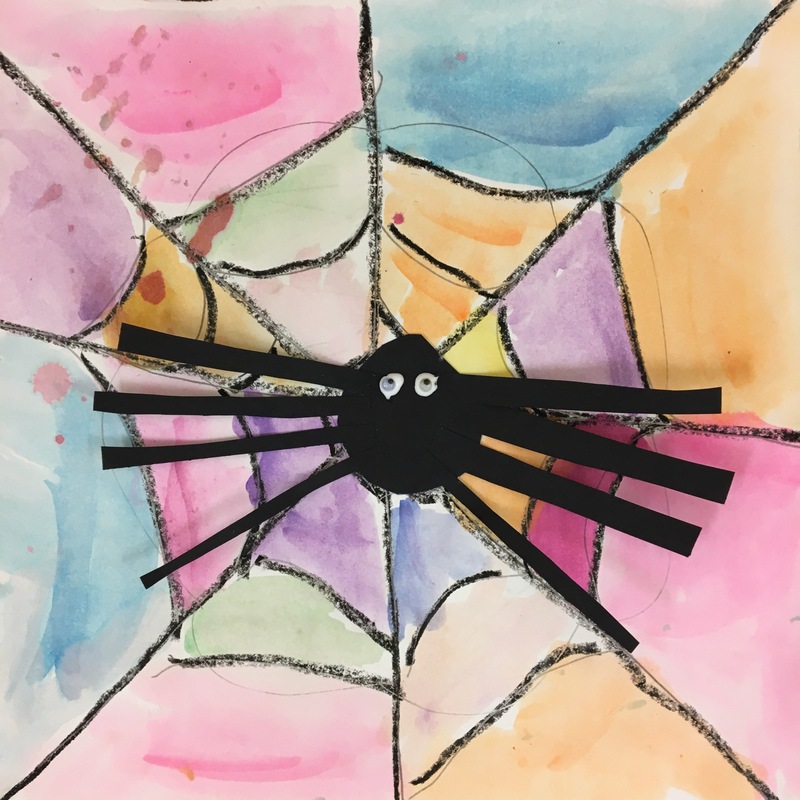 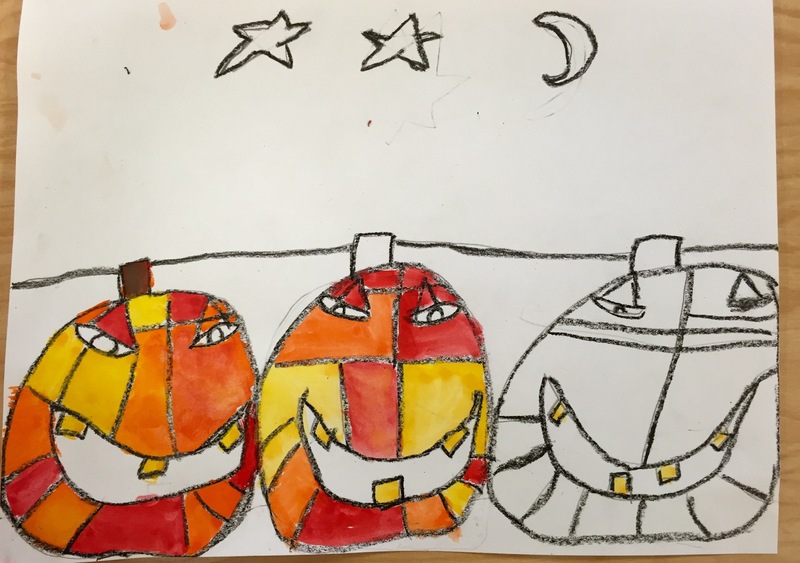 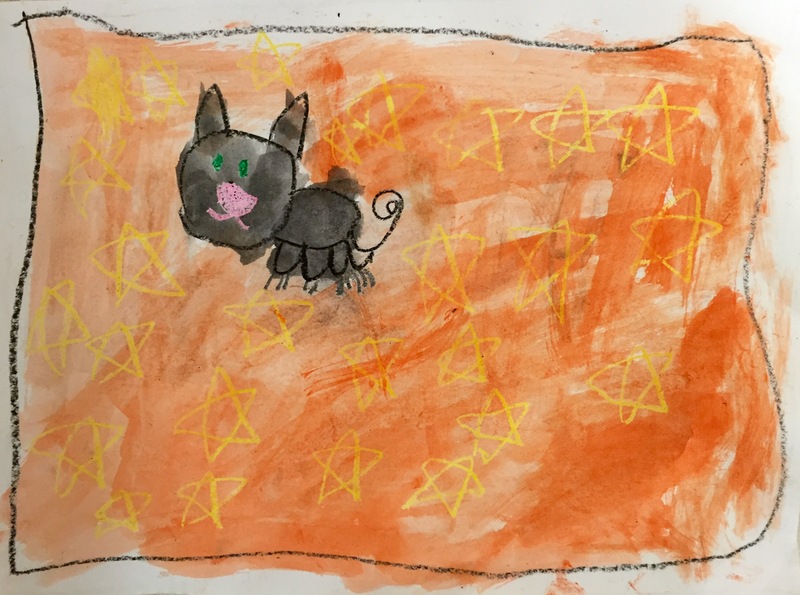 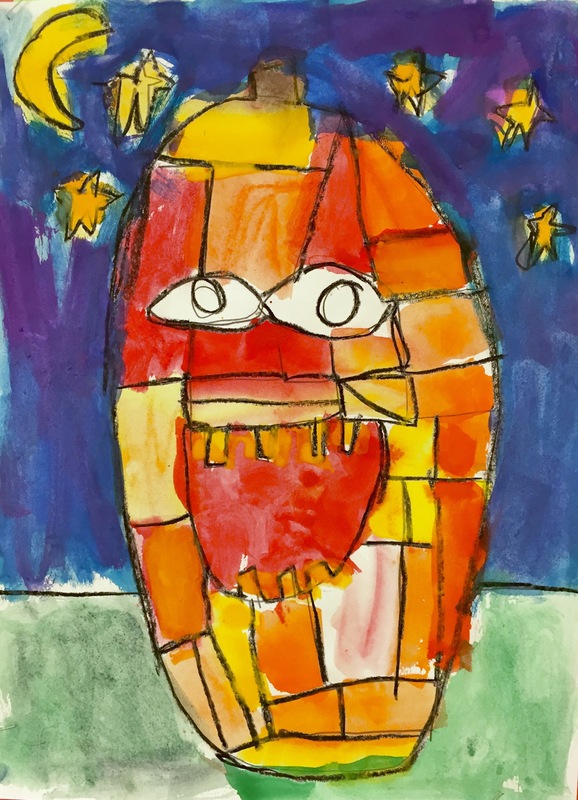 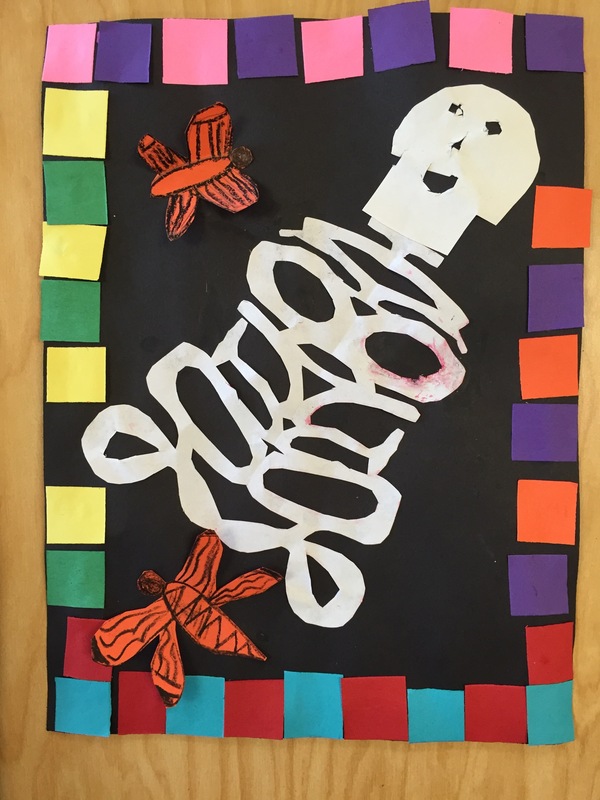 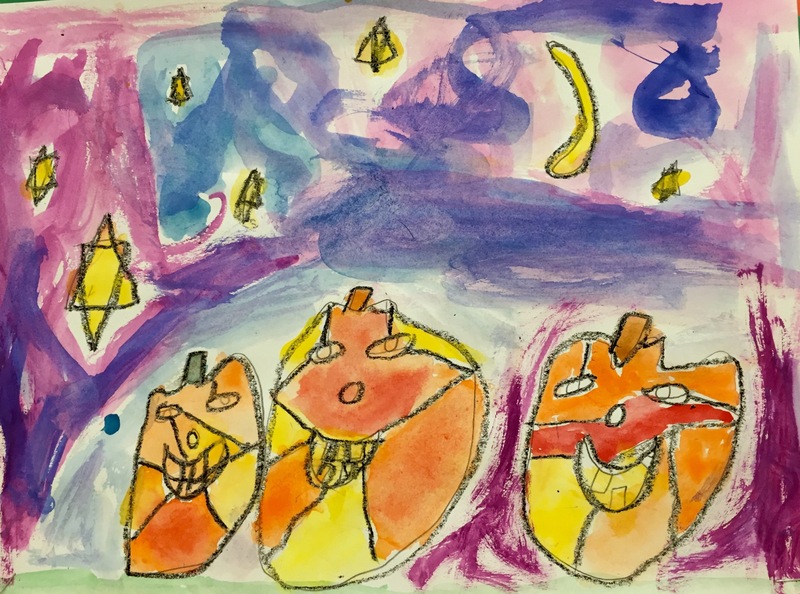 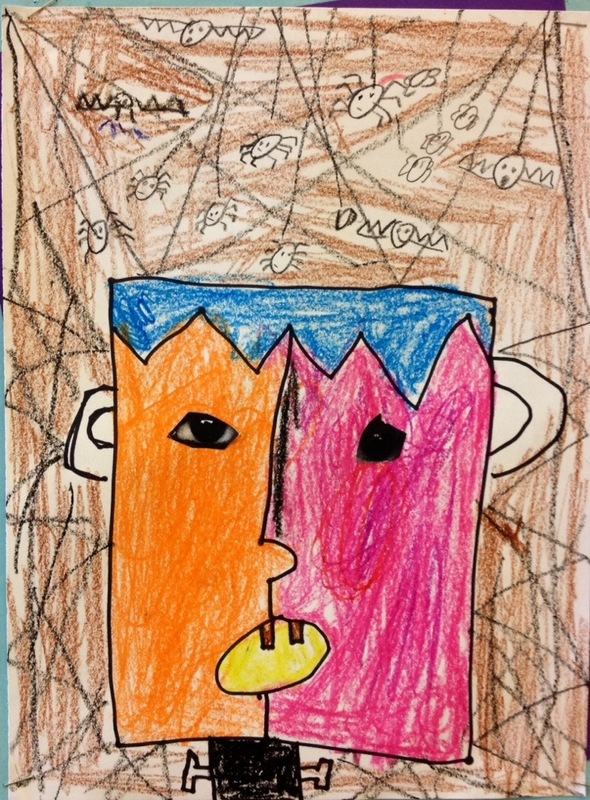 Saw this project on Art Projects for Kids and thought it would be a festive way to discuss Picasso with my second graders. 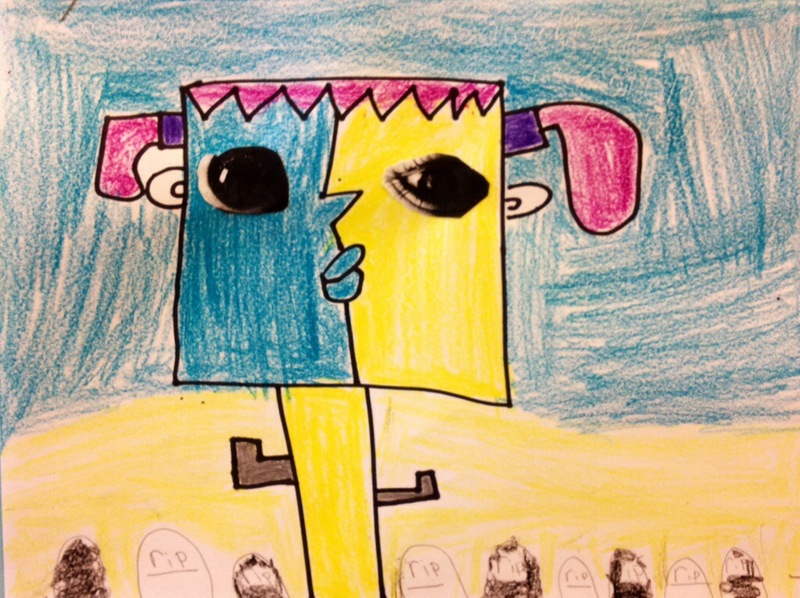 They have totally loved looking at his crazy Cubist paintings and then making their own version of Cubist Frankenstein. 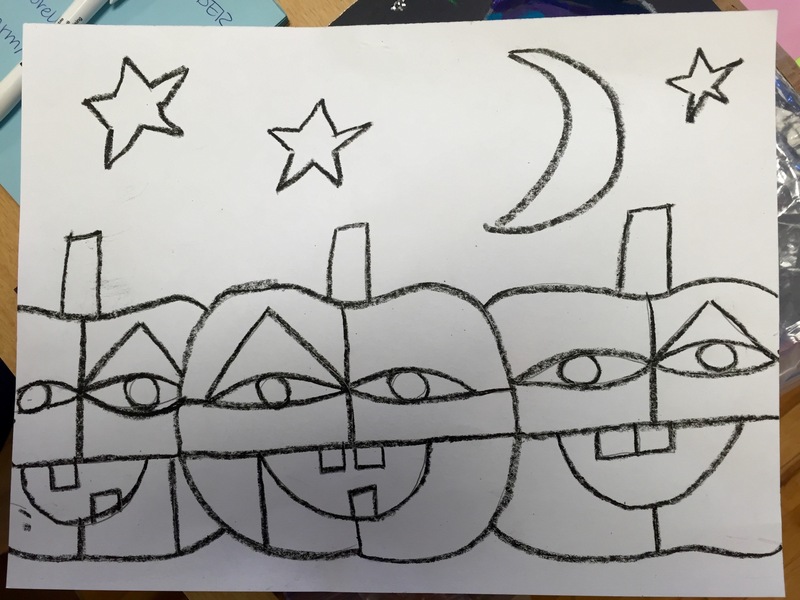 We drew their Frankie with sharpie and then colored it all in, including some spooky things in the background. 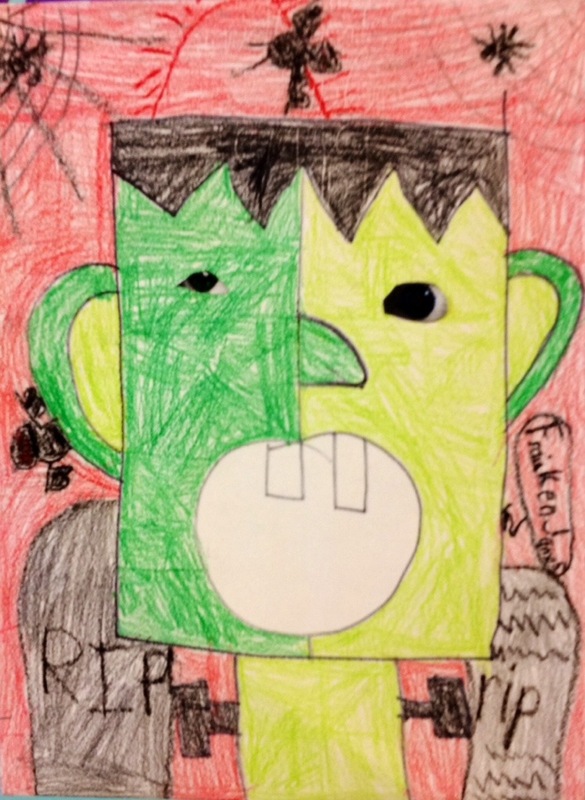 The original plan was to look trough magazines for the eyes but it was near impossible to find eyes big enough to go on the monsters. 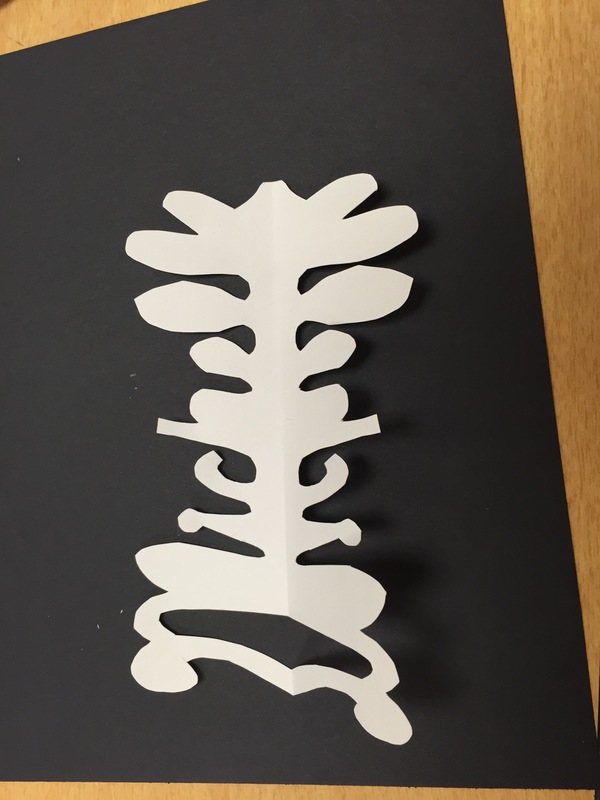 I ended up doing a google search for “eye” and just printing the results. 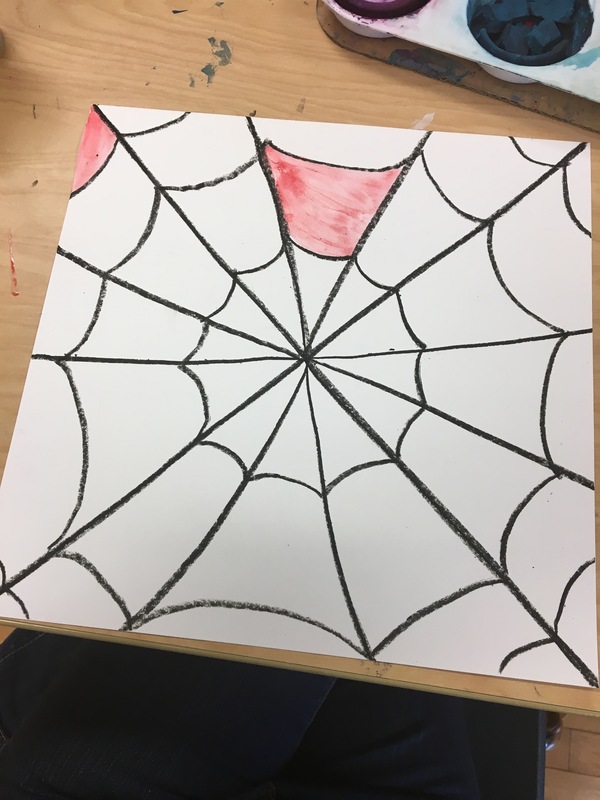 It worked out well. 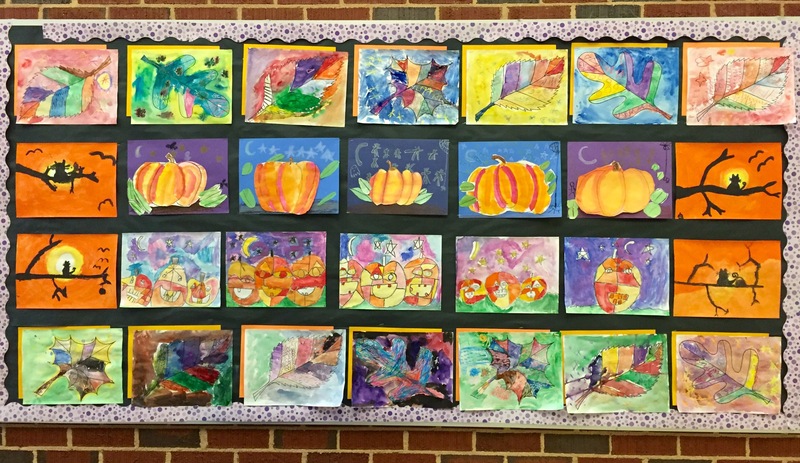 Check out some of our finished pieces!